The location on a plaza and close to the port. Early check in. The room was fine. Overall it was a good stay.. 1.Staff Carmen and Carlos very pleasant and easy to talk to...Hope if I come back to see them there. 2.They didn't charge 4 Euros for the breakfast of my daughter..just 1 Euro thing I was greatly surprised...Truly she is fussy eater and they noticed that she didn't eat much..lovely gesture I am very pleased about. 3.All staff very helpful to try to accommodate my daughter's and my needs specially with my daughter's medication that it had to be stored in a fridge and freezer...they made my life very easy with this. 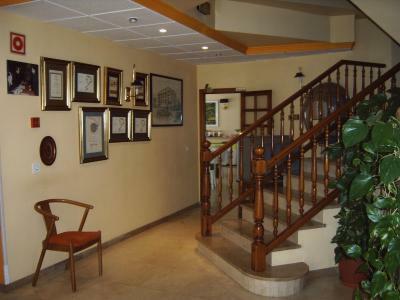 Located in center town,near harbour, restaurants, bars. 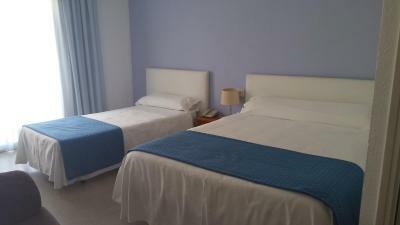 Very nice separate double room for four people. Only some minutes walk to the sea. Nice selection of food for breakfast especially for the price. Room comfortable and clean. Bathroom clean and good size. Staff friendly although most did not understand English, but we managed to communicate. Although there is no parking on site, we were able to park in the street nearby. Close to a square where there were places to eat. Agua caliente de la ducha, estable y sin cortes con agua fría. El buffet desayuno, por 5 € es bastante completo. Se agradece el secador en el baño. 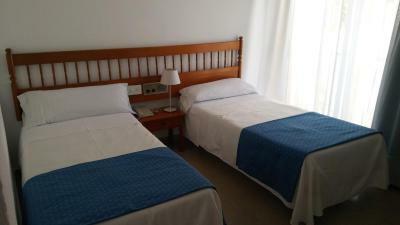 Las habitaciones se comunicaban. La propietaria. Nos han dejado entrar con nuestro chihuahua que es muy bueno. La situació és molt cèntrica i la relació qualitat preu és molt bona. El matalàs còmode. Wifi . El bufet d'esmorzar molt complert, inusual per un hotel d'aquestes característiques (Sucs, iogurts, pastes, truites, hamburgeses, croquetes, ous ferrats, bikinis........i café fet al moment en cafetera de bar). 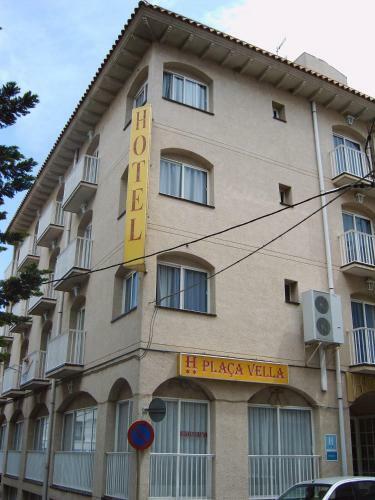 Plaça Vella This rating is a reflection of how the property compares to the industry standard when it comes to price, facilities and services available. It's based on a self-evaluation by the property. Use this rating to help choose your stay! 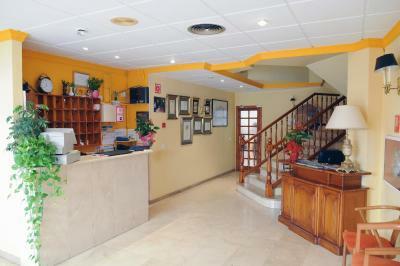 One of our top picks in Sant Carles de la Ràpita.Hotel Plaça Vella is set in pretty town of Sant Carles de la Ràpita, near the Ebro Delta Natural Park. This small hotel offers free Wi-Fi access in public areas. 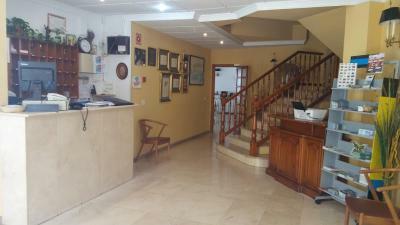 The hotel has a quiet central setting, just a short walk from the marina and the fishing harbor. The town of Tortosa is less than 16 mi away, and Reus Airport is 47 mi away. 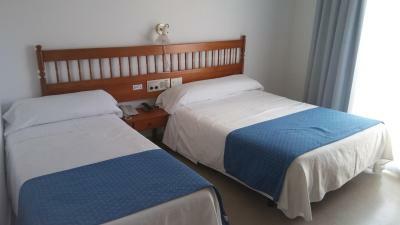 Rooms at the Plaça Vella are spacious and comfortable. They all have a private balcony. 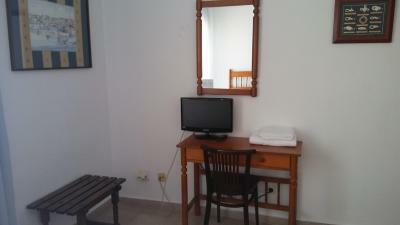 Rooms also have air conditioning and a TV. The private bathroom has a hairdryer. 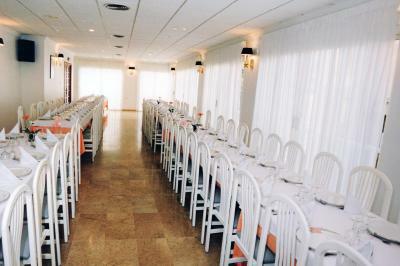 The Plaça Vella also has a bar and a restaurant which serves fresh seafood. There is also a terrace. 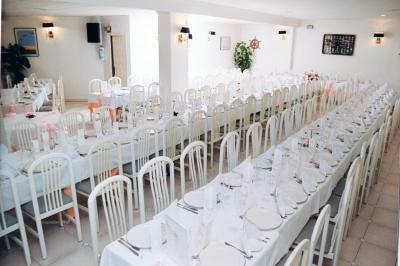 The 24-hour reception has a tour desk and can prepare packed lunches. 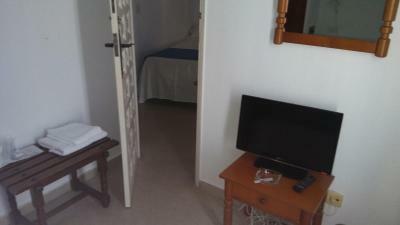 This is our guests' favorite part of Sant Carles de la Ràpita, according to independent reviews. 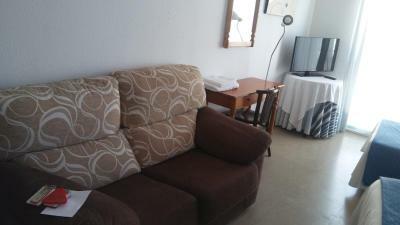 When would you like to stay at Plaça Vella? 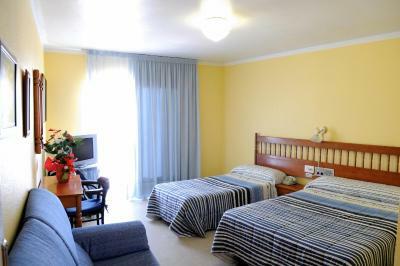 This air-conditioned room features a TV, a private bathroom and a balcony. House Rules Plaça Vella takes special requests – add in the next step! 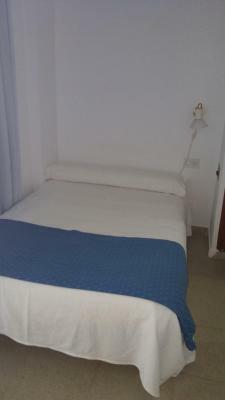 One older child or adult is charged EUR 10.70 per person per night in an extra bed. Plaça Vella accepts these cards and reserves the right to temporarily hold an amount prior to arrival. The only thing was the noise which disturbed us all night long (it was a Sunday) from inside and outside the hotel. This has to be the noisiest hotel Ive ever stayed in. If you’re planning on sleeping, this isn’t the place for you. I would have had a more restful stay in the car. The only thing is that from the three nights I was there two of the nights I had to contact the reception because the owners of the hotel were doing too much noises late at night...this I found it unpleasant. Many options of the breakfast buffet (extra) ran out quickly. The air conditioning was fully controlled by the hotel, and it was in an unnecessarily low temperature. 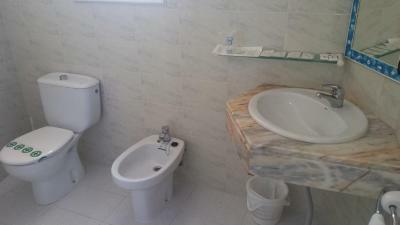 Very clean, comfortable and well located. 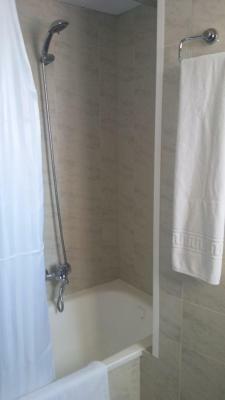 Location and value and clean. The elevator was very loud next to our doors. Noisy british people woke up everyone at 2AM. Doors slamming etc. Central location. Cheap and easy. Too expensive! 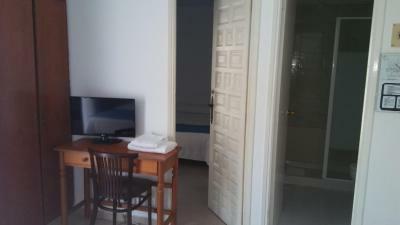 Clean, very basic accommodation.